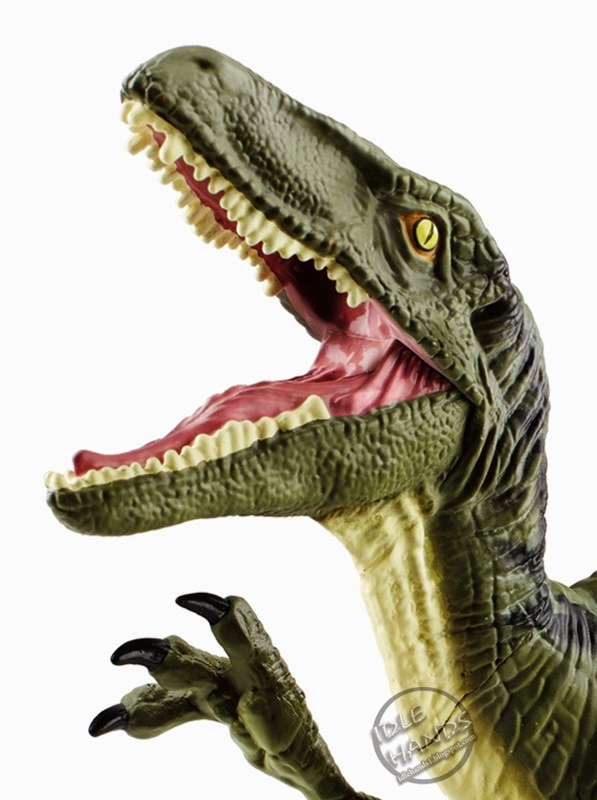 One week til Toy Fair 2015 takes over New York City...or at least a little sliver of it! 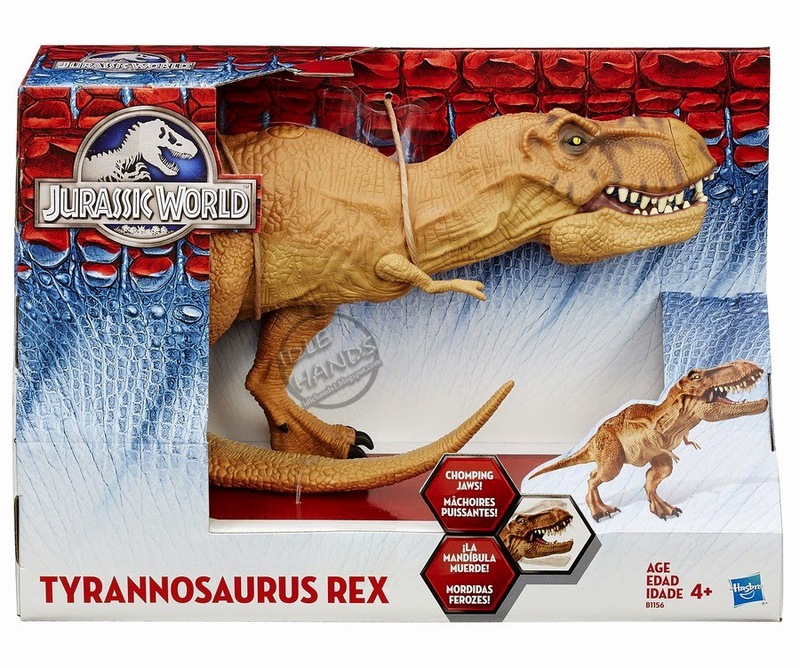 As such, and as per usual, the reveals are coming fast and furious now. 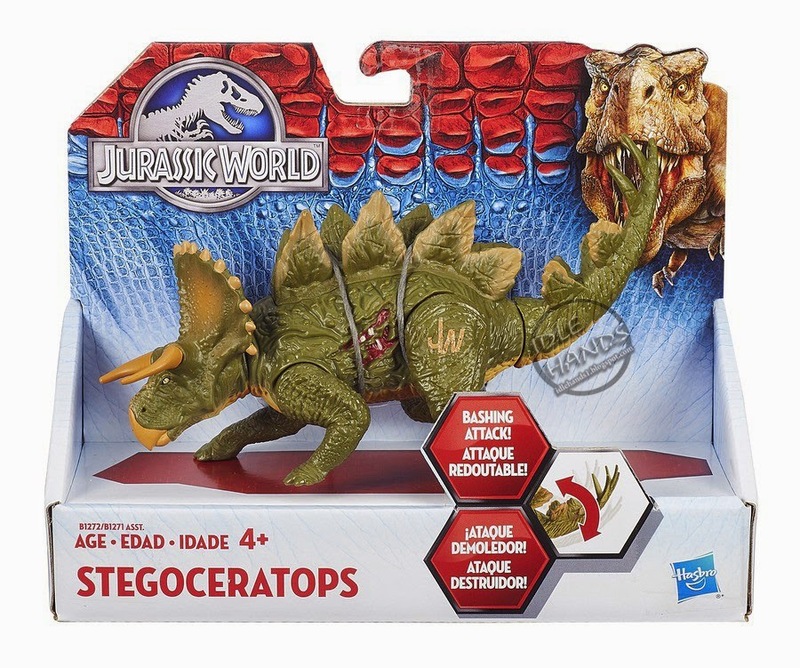 Case in point, our UK buddy who dropped the infamous Teenage Mutant Ninja Turtles movie descriptions on us checked in with a small pile of dinosaurs ready to chew up the patrons of a certain park that refuses to say closed...despite previous instances of chewing. 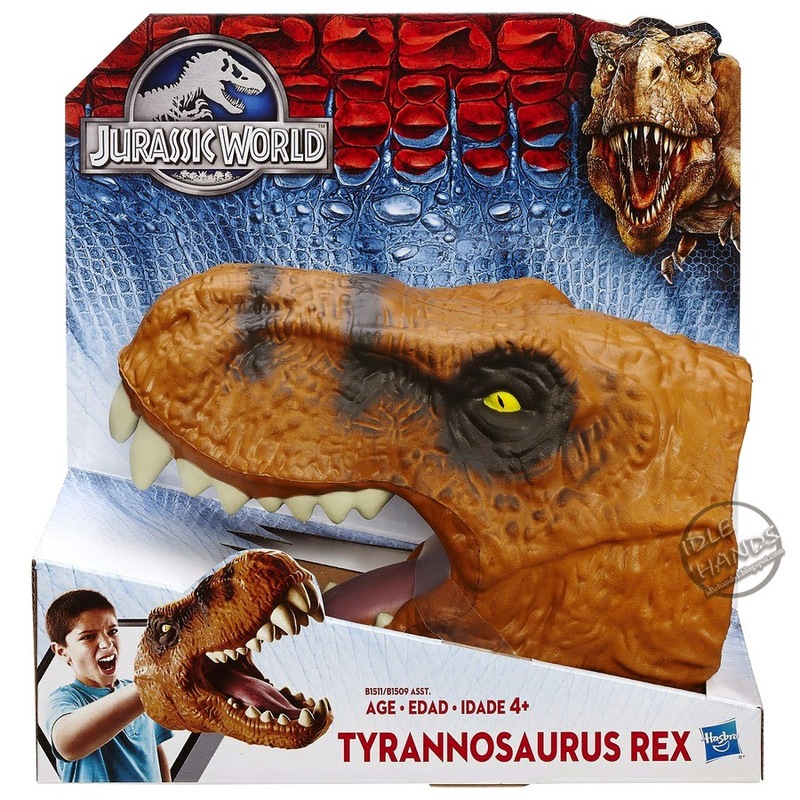 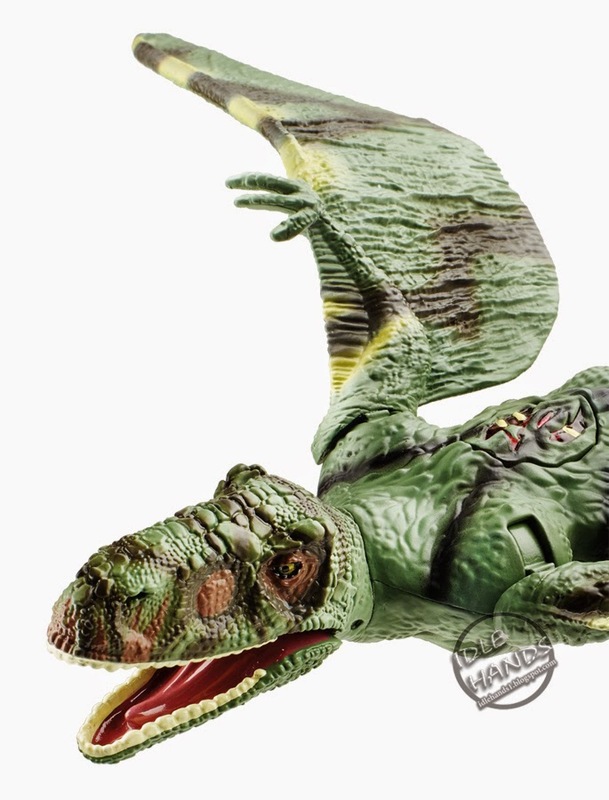 Jurassic World is poised to be a powerhouse at the theater box offices and Hasbro is hoping to grab a bit of that frenzy with their superb line of dinosaurs packed with enough battle scars, roaring noises and chomping action to send your G.I. 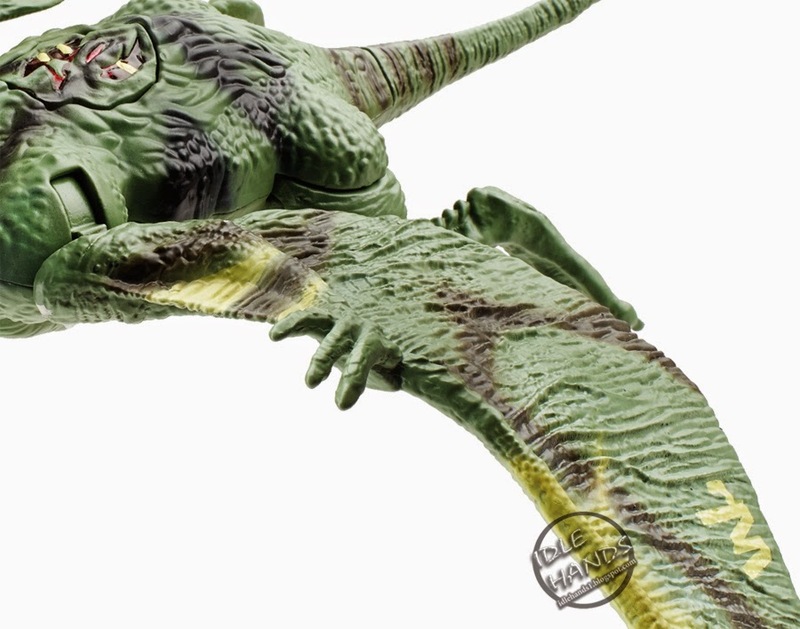 Joes scrambling for cover. 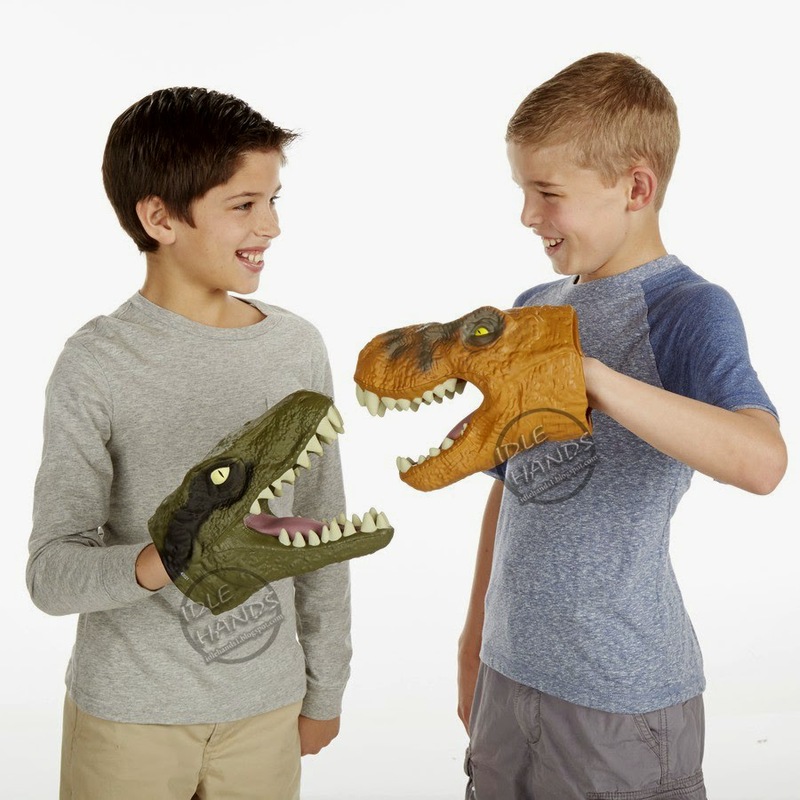 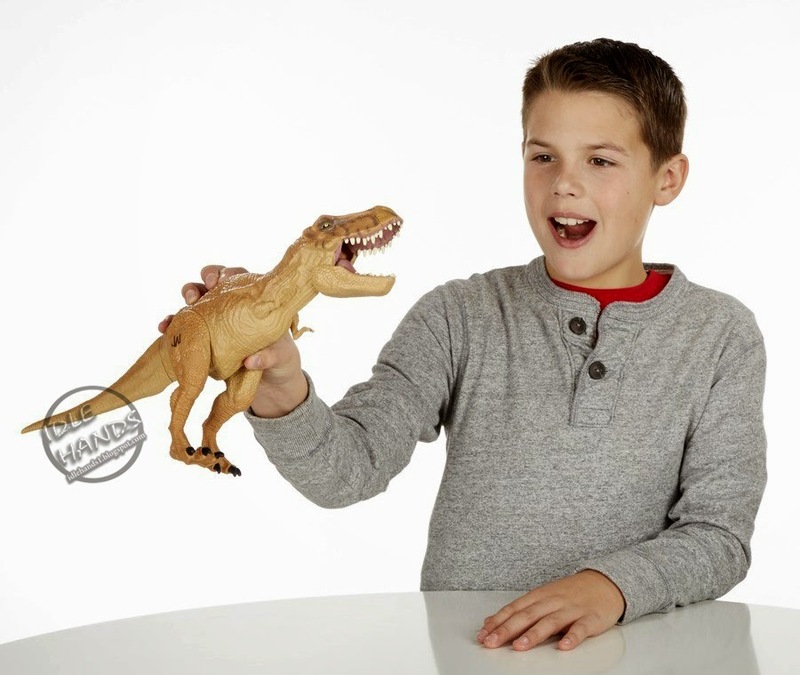 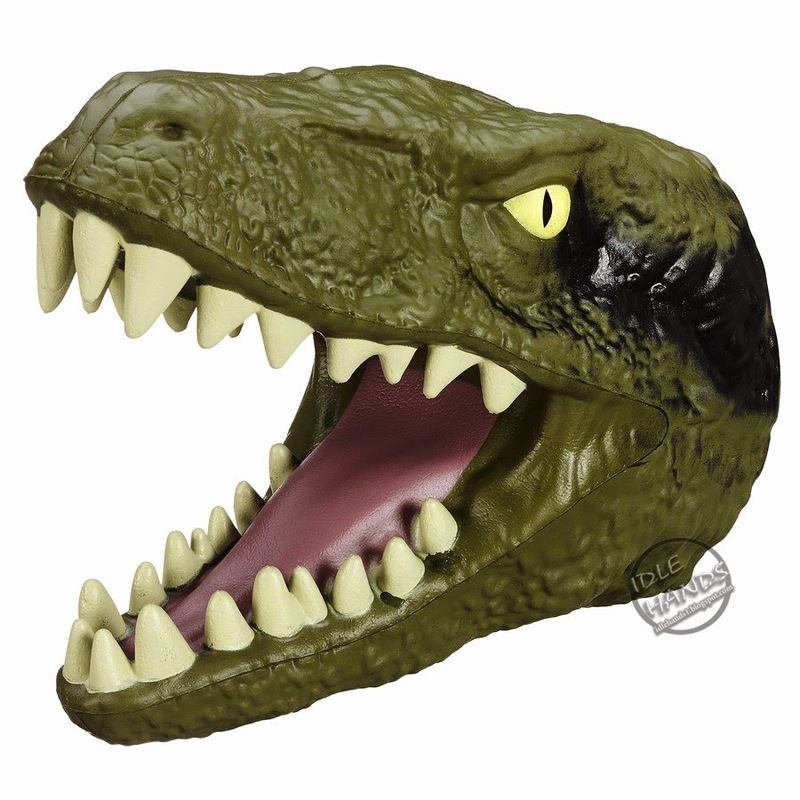 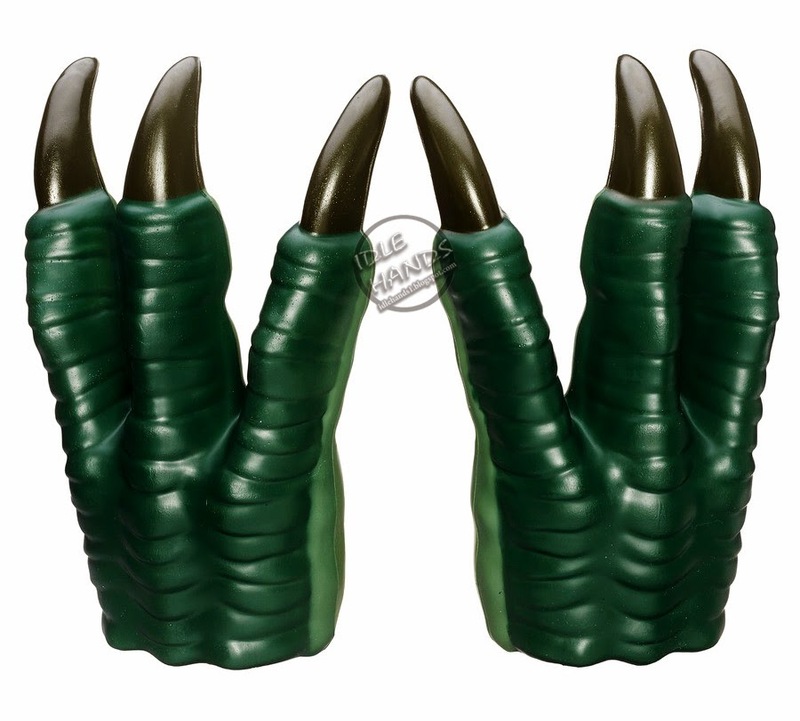 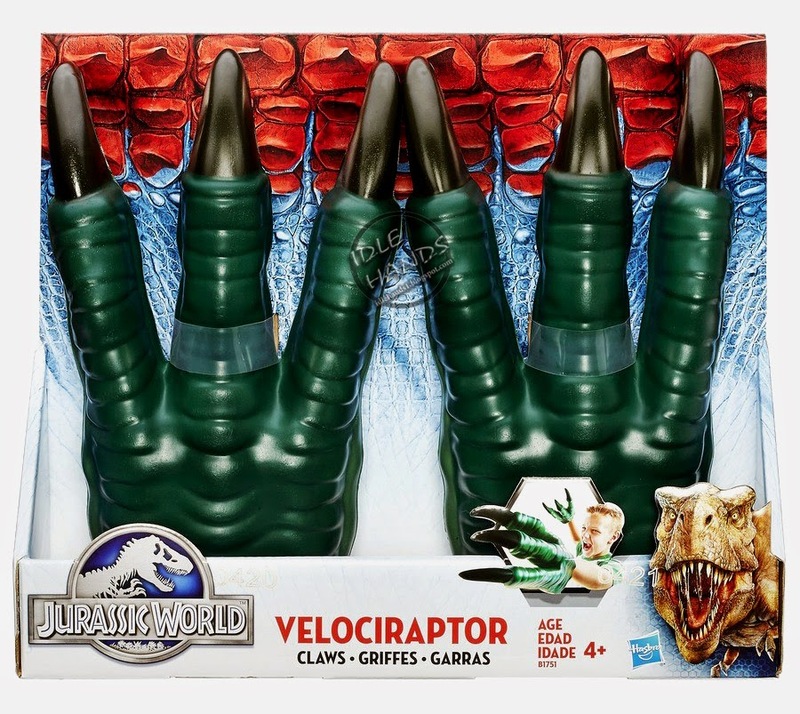 - And if you are going to put dino heads on one hand, you may as well put a Velociraptor Claw on the other! 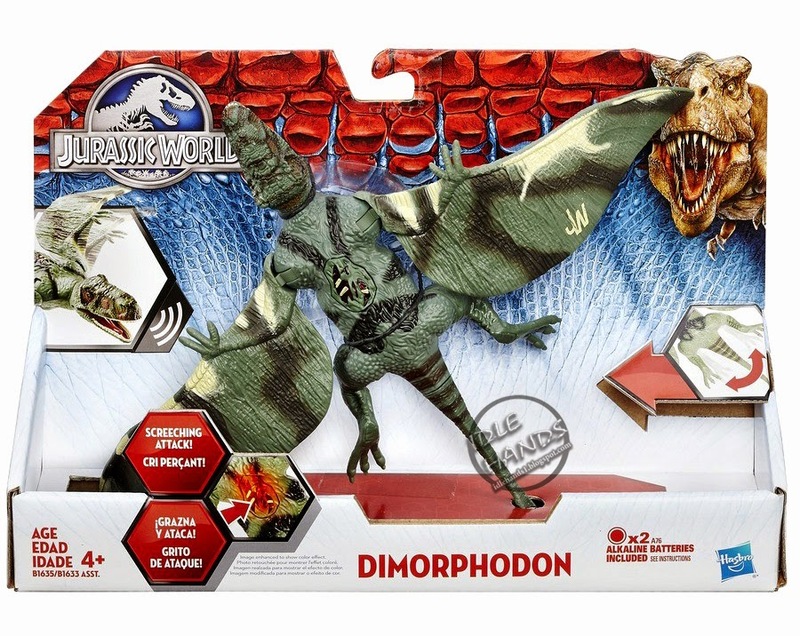 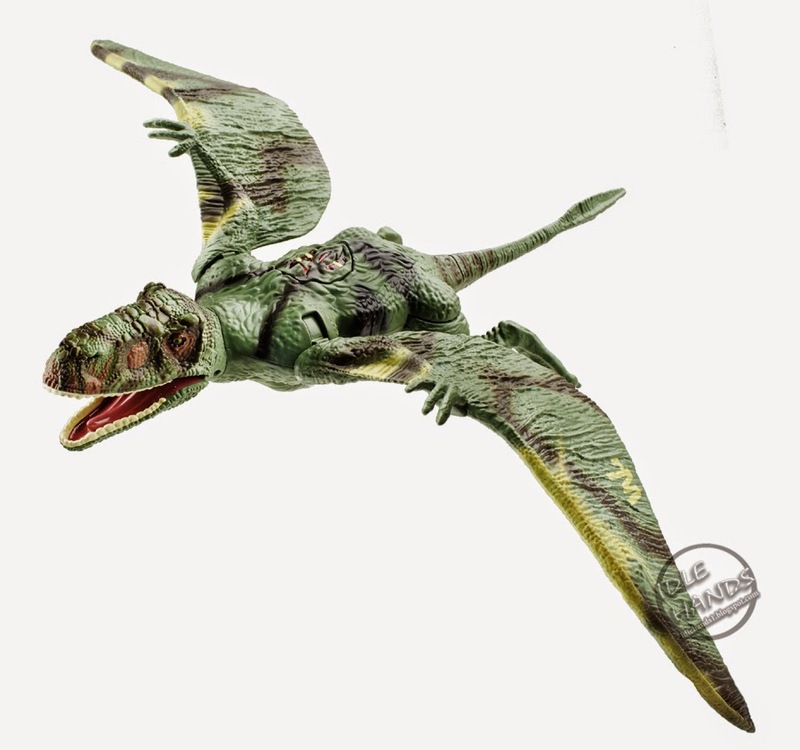 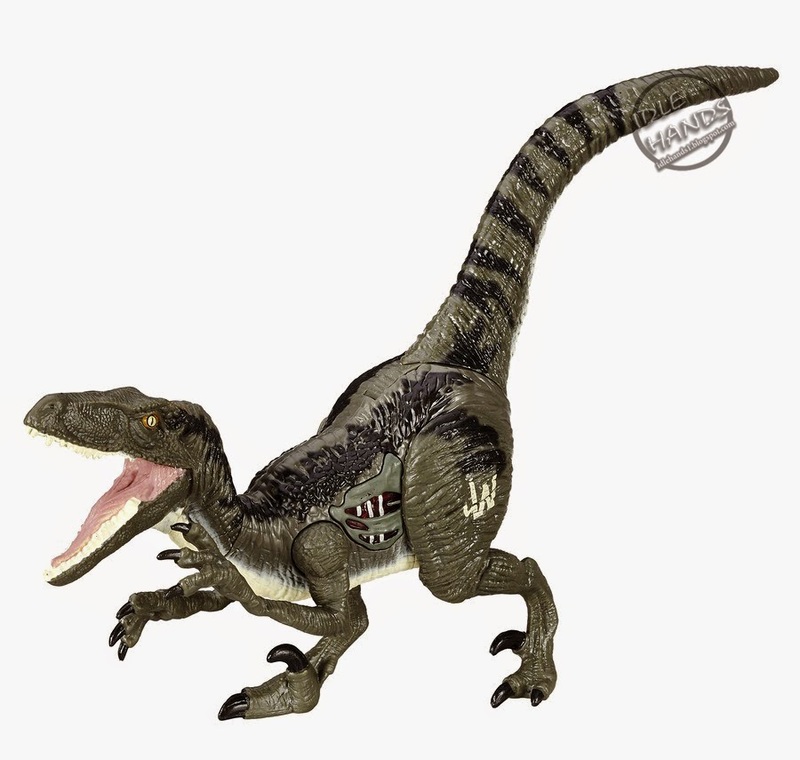 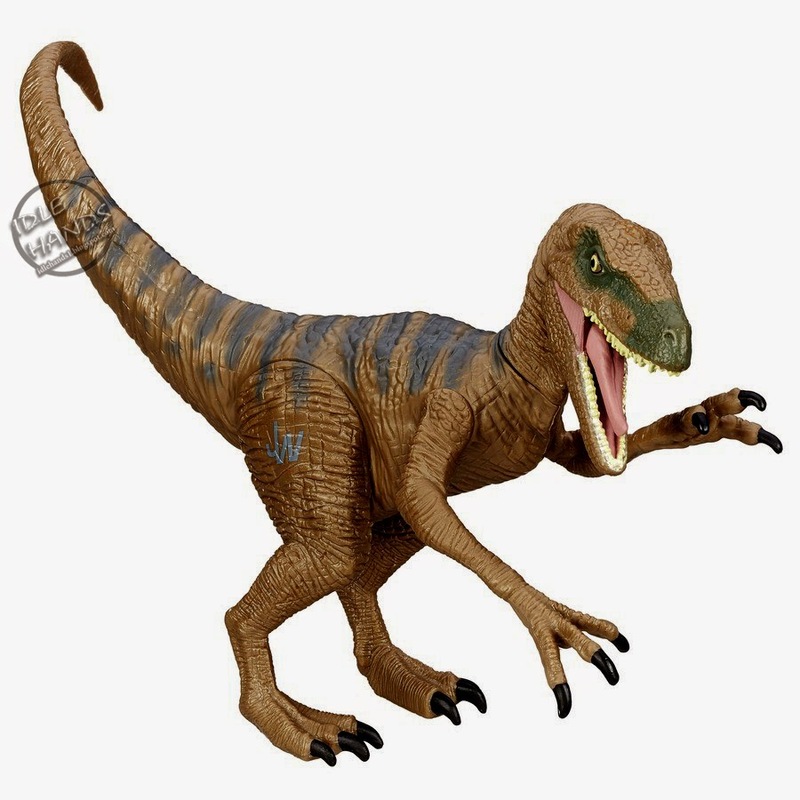 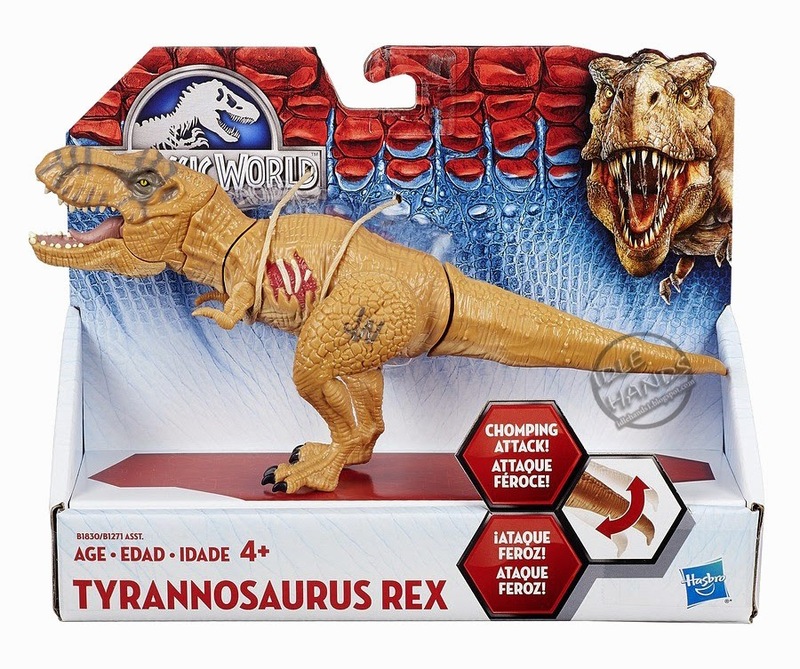 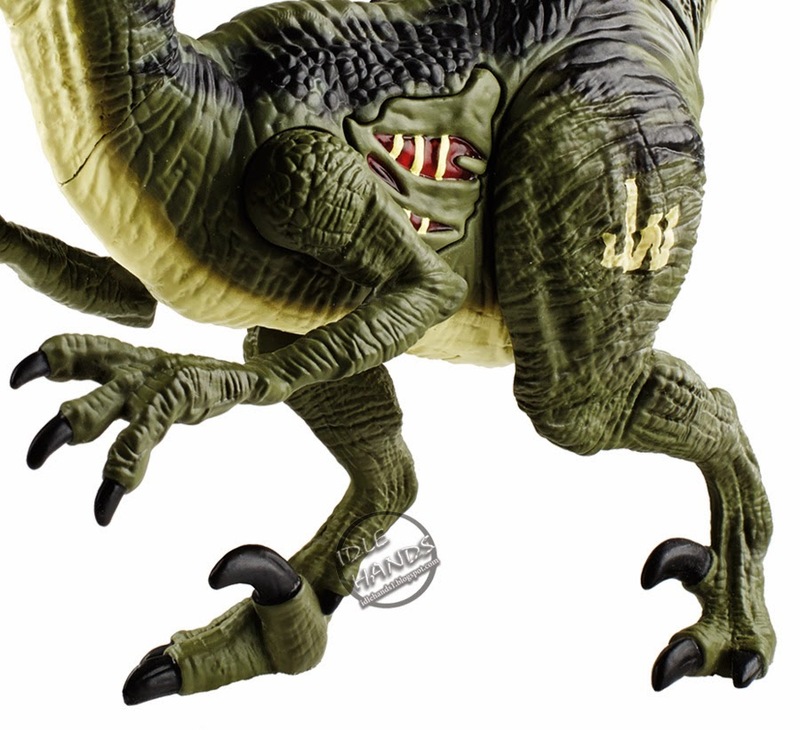 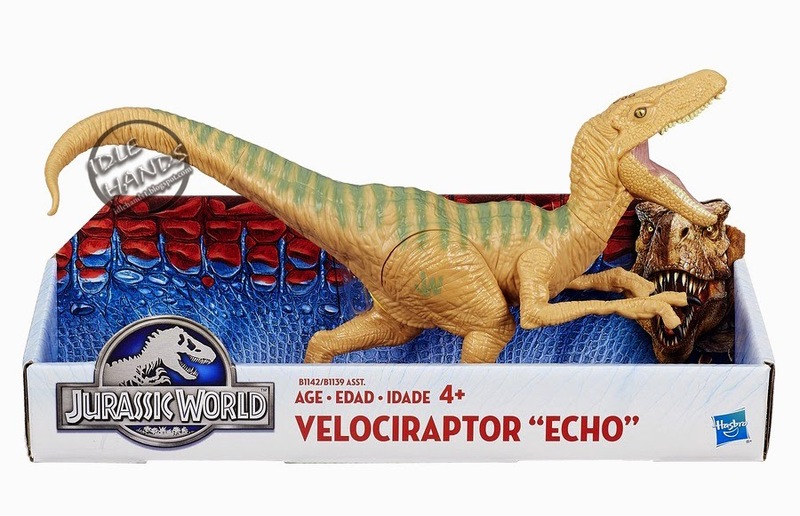 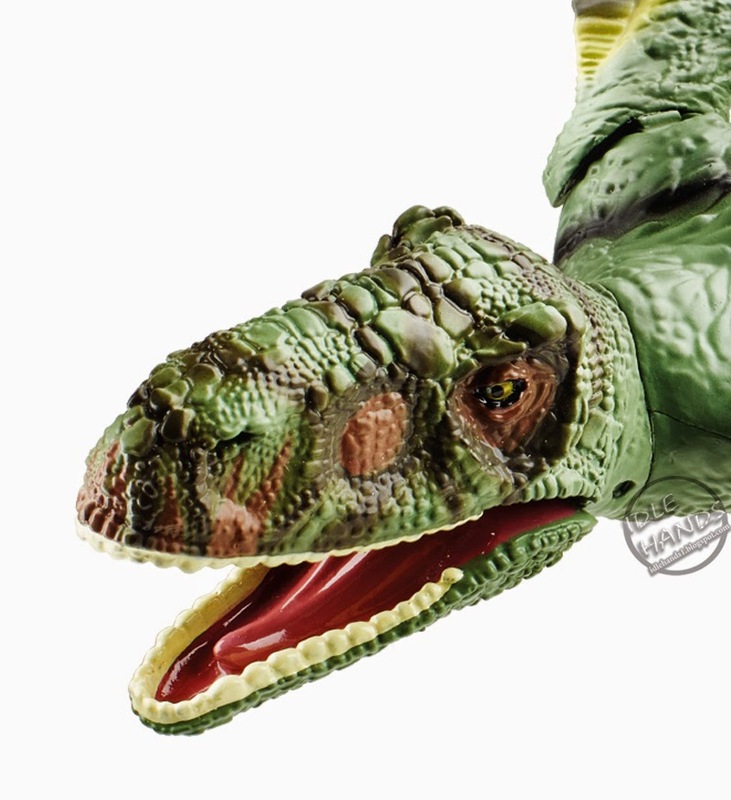 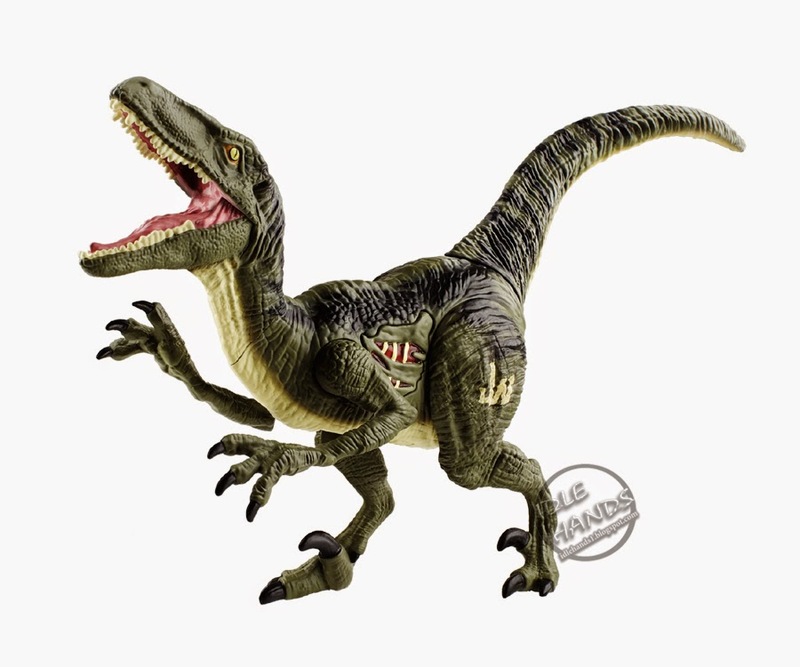 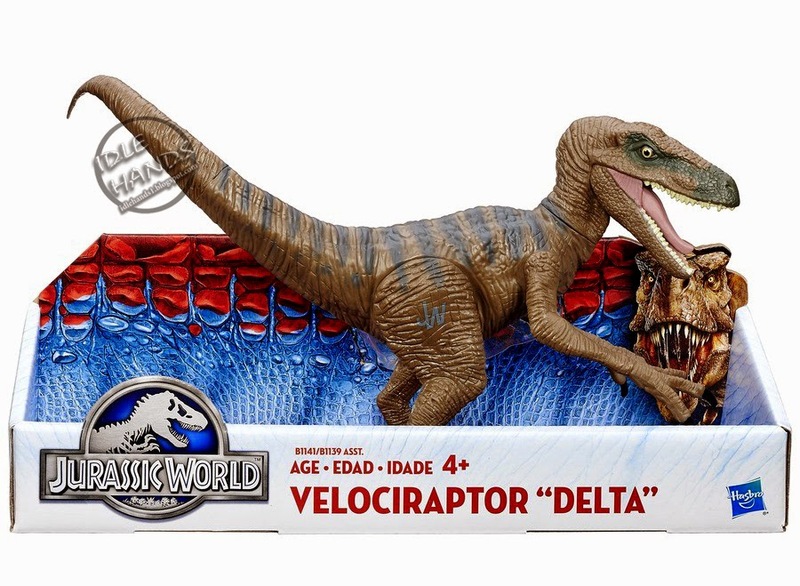 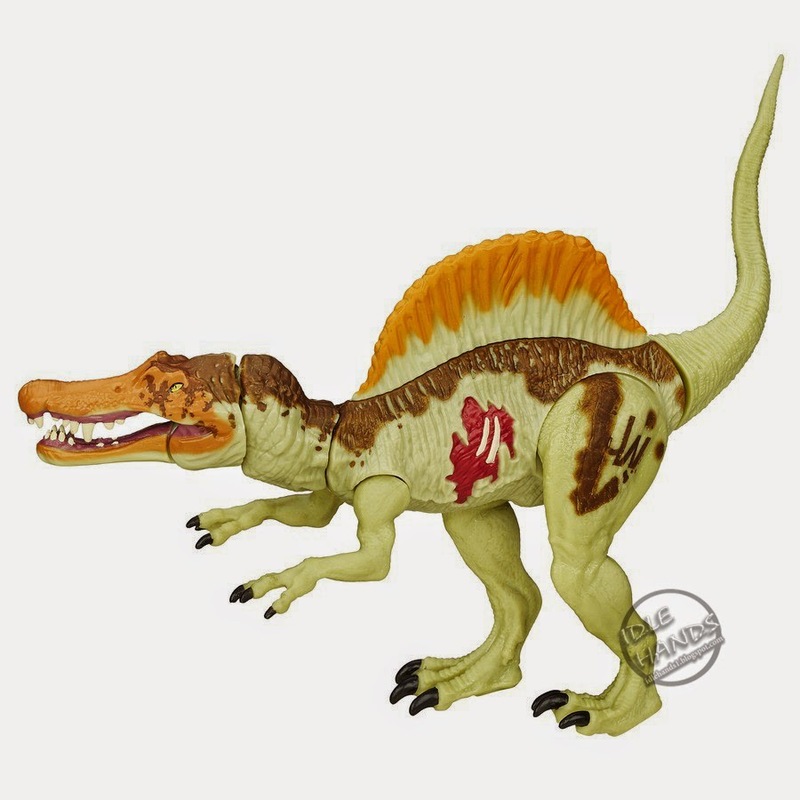 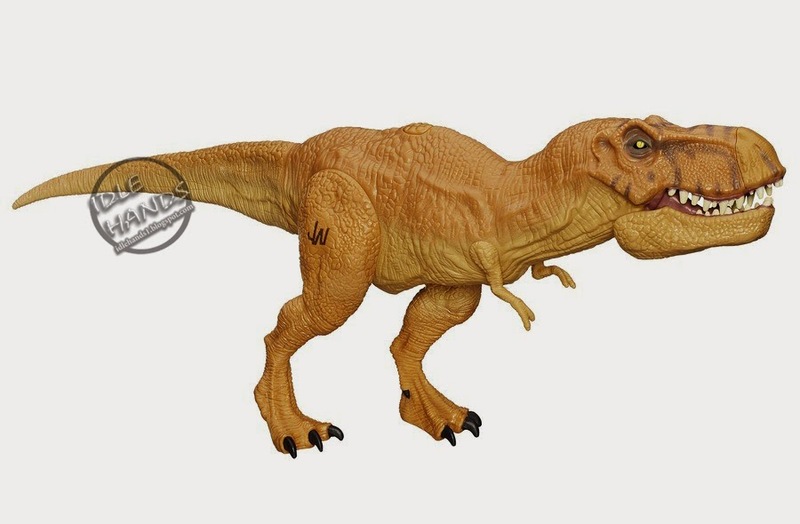 Hit the last article for more dinos from Hasbro's Jurassic World line!